Porcelain Veneers in Burlington MA: Am I a Candidate? If you have a less than attractive smile, porcelain veneers are a simple and effective solution to enhance the beauty of your smile. Using porcelain false fronts, we hide a number of cosmetic defects hurting the appearance of your smile. Through a simple and safe procedure, we hide chips, cracks, and discoloration. In some cases, we can even fix alignment issues to give you a straighter, whiter smile that closely mimics your natural teeth. However, while porcelain veneers are effective, they can’t be used to treat all cosmetic flaws. If you’re considering porcelain veneers in Burlington MA, we have the information you need to determine if veneers are right for you. Porcelain veneers are very thin false fronts that are bonded to the front side of the teeth. Unlike other forms of veneers, porcelain is thinner and lighter, so less of the tooth has to be removed during the bonding process. This allows you to maintain more of the tooth’s natural structure while hiding defects hurting your smile. By removing a very small amount of enamel through the etching prep process, we securely bond the veneers to your tooth to hide chips, cracks, and other flaws. In just one visit, we’re able to give you an amazing new smile that closely mimics your own natural teeth. Tooth Discoloration—Veneers are effective for hiding extreme tooth discoloration that isn’t removed with teeth whitening. Misshaped and Cracked Teeth—Veneers give the teeth a shapelier appearance while hiding chips and cracks. Minor Alignment Problems—In some cases, veneers can be used to make the teeth appear straighter by filling small gaps and fixing small crowding issues. Good Oral Health—You must have healthy teeth and gums to undergo cosmetic dentistry. In some cases, restorative procedures may be needed prior to receiving veneers. 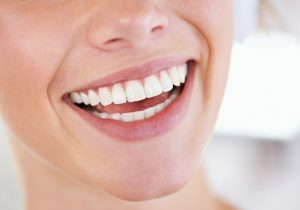 Adequate Tooth Enamel—Because veneers are attached to the enamel and some enamel will need to be removed for bonding, you must have enough enamel to adhere the veneers to the teeth. No Bruxism—Those who grind and clench their teeth can’t have veneers because it will cause the porcelain to chip and fracture. In addition, if you chew on things or use your teeth as tools, veneers may not be the option for you. Good Oral Care—To make your veneers last as long as possible, you need to take good care of your teeth, including regular visits to your dentist. If you’re tired of having a less than perfect smile, let Complete Dental Care give you long-lasting results with porcelain veneers in Burlington, MA. Contact our office at (781) 808-3032 to schedule a consultation. Comments Off on Porcelain Veneers in Burlington MA: Am I a Candidate?